When I started I cut back my net carbs to under 20g; this was hard, it required a complete change in my life and overhaul everything about myself. As my body readjusted to this new regime I suffered only marginally from ‘carb flu’. I felt ill for two days, maybe three, but after that I was just dizzy – a sign that my blood sugar was changing. After having restricted yourself for a couple of weeks to such a limited net carb intake, you get used to it. Carb flu is essentially carb withdrawal, your body is getting used to having to run off of ketones. It’s a big deal, you’ve changed the fuel supply! You might experience dizziness, nausea, a slight flux in tempreture, and headaches. It’s all normal – if it goes on and on and on for more than a couple of weeks, or if you feel like something is seriously wrong: seek medical advice. If you think it’s not serious, but you’re struggling for more than two weeks, up your carb intake; some people are more sensitive to the loss of carbs than others, and that’s okay, just go slowly, this doesn’t have to happen overnight. In these first weeks you need to stay positive, determined and above all patient. Drink lots of water – if you can’t stomach still water, get some unflavoured sparkling water, it tends to be easier to drink on an upset stomach than still stuff. Eat simple things, and slowly lower your net carb count until you’re below your mark. I’ve managed to go as low as 15g, but that in itself was hard and I wouldn’t advise it unless you’ve had a good run already. Also something to keep in mind: every time you build in a cheat day – which, lets face it, we all end up doing at some point or another – you’re might have to go through a mini carb withdrawal when you start up again, the longer you’ve cheated the worse it’ll be. I started my diet in November 2013, which meant I had to persevere through Christmas and New Years. I did alright with Christmas, forgoing on the alcohol and the sweets and stuffing myself with turkey and salads. New Years was a different story, I’d been on this diet for two months and it was already making a difference so I decided I deserved a treat. I had sweets and wine and was stalled for two weeks before I started losing weight again. So just remember that you’re in control and if you do decide to have a cheat day – for whatever reason! – there are consequences to deal with. That said, sometimes you do need a cheat day, and that’s okay. You’re not meant to be going insane: if you really need to have a day where you have to eat something not entirely in your schematics, that’s fine. Do it. This isn’t just about your physical health, it’s also about your mental health and the last thing any of us need is to become distressed or depressed because we can’t eat certain things. It’s not an easy road, but we’ve chosen it because it works and it works fast. If you’re doing it right, you’ll see returns straight away. I lost 8kg in the first month, and between 2-3kg the months after that; I’ve gone from weighing 82kg in November last year to nearly 62kg now (July). The difference between this and other things I’ve tried is, I’m keeping it off by regulating myself and a little bit of exercise. It’s important to be honest with yourself, so when you’re keeping your food diary be honest! No one else has to know, but you will and you’re the one fighting here, so fight fairly and give yourself the best chance you can by understanding what it is that your body is doing, why it’s doing it, and what affects it’s going to have on you, physically and mentally. It won’t happen overnight, but I promise you, this is for real. I came across this recipe that I’m definitely going to try out. If you’re stuck for LC ideas, Low Carb is Not Boring is a great way to have a look: not only does she post awesome recipes, but she’s got great ideas too. It’s important to look at a wide range of sources! The best way to lose weight is to find what works for you, and that won’t happen if you only look at a small silce of the wealth of information that’s out there! I haven’t tried this recipe yet, but it looks absolutely fresh and delicious! In a large nonstick skillet set to medium heat, add olive oil. Once hot, add garlic and cook for 1 minute. Add cream cheese and lemon juice, stirring until cream cheese has melted into a thick sauce. Season with salt and pepper. So, since I rushed away earlier and really didn’t go into the importance of a Food Diary, I’d like to explore that a little further now. Why you ask? Because it’s important. 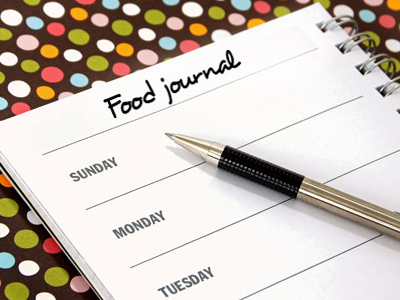 A food diary helps you with any kind of diet. When you’re overhauling your life it’s important that you know what you’re eating and drinking throughout the day. Not only does it make it a lot easier to see where you might be going wrong it also helps you keep track of your calories and lets you know if you can have that extra bit of pumpkin. Now, you can keep a handwritten one, and put the numbers in yourself if you’re so inclined and you feel up to the task. Remember, the easier something is the more likely you’re going to keep it up! That’s one of the main reasons why I’m an advocate for apps or websites. I’ve only used MyFitnessPal, so I can’t speak to the others, but you’ll have to figure out what works best for you. The trick is to find what you like, whether it’s an app or website, and stick with it – make it work for you. Most apps are Android, iPhone, and Windows compatible, so I’m sure you can find something you like out there. It’s important to make this change, and it will make your changeover to a low carb lifestyle so much easier I can’t stress it enough! Firstly, a big ‘Hello! And thanks!’ to my new followers – honestly, your interest is an inspiration to get me writing! I hope you’ll bear with me while I get the hang of WordPress and adjust my themes – I’m a WP newbie. And now onto the matters at hand. We’ll skip the science-y bit where I talk about the molecular structure of a carbohydrate; no one’s really here to listen to that – and if you are, I’m sure Wikipedia will deliver such information quite readily. For our purposes we need to talk about the carbohydrate in terms of nutrition. In most diets, carbs are the primary source of fuel for the body – I remember hearing somewhere that ‘carbohydrates are the building blocks of life’; I don’t know how accurate that is but there you have it. Most people consume carbs as part of every meal. Essentially, they are sugars, starches, and cellulose (which, as I understand it, are all kind of similar anyways). When we eat these carbs our body burns them for energy and keeps all our body functions going. ‘It’s been doing this since the beginning of humanity, why would we want to mess with that?’ you ask. The problem with the human race is that we’re all about convenience. Back in the stone age, we didn’t have access to sugar, we didn’t process our flour so that it was white and shiny, and we certainly didn’t grow hybrid potatoes to make them sweeter, or creamier or whatever. (Aside: I’m not against any of these things, just putting them into context!) So, while our food production and sources have developed at a massive rate, our body’s evolution hasn’t kept up. The long story short is that we can’t always cope with the amount of sugar/starches/carbs in general that our modern day diets supply us with. 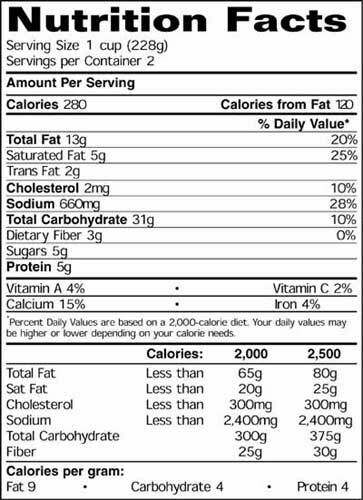 Take for example a loaf of supermarket bread – just a generic white loaf, sliced for the toasted, nothing special, nothing too boring – you’re looking at around 50g of carbs in a 100g, with only around 3g of fibre. Put into basic terms this means that just under half of what you’re eating is sugar/starch/cellulose that you’re body’s going to burn up for energy. What it doesn’t burn is what gets stored as fat. Which is fine, by the way, unless you’re sensitive to carbs and have a tendency to crave the sugar! Fruits & Veggies – and juices! Soft drinks – including energy drinks! …basically every section in that Food Pyramid from Year 9/Grade 8 science class has some sort of carb in it. Now, here’s the thing. Before my GP suggested I try a LC diet, I had no idea what carbs were doing to me; I didn’t even realise they were a possible thing – I just assumed that fat was the culprit and that cutting that out and regulating ‘sugar in general’ might help, until I started doing all this research. I’m one of those people, because of my genetic makeup – and my PCOS, I suppose – that is sensitive to sugars – and has a sweettooth to boot, yay, go me! My body tends to need very few carbs to keep going. This is most likely due to the fact that I don’t get enough exercise and my body has decided that I don’t need extreme amounts of fuel to maintain that type of metabolism. Again, this would be fine, if I hadn’t been eating a diet that was high in the wrong type of carbohydrates. “Wrong??? There’s a right?” you demand, possibly slightly fed up with my rambling. Well, strictly speaking: yes. We’ve got ‘simple’ and ‘complex’ carbs. In case I haven’t really been clear about it: carbs aren’t technically bad for you, it’s the overeating of the wrong types that will kill you – or at least cripple you with obesity, diabetes, some sort of cancer, and a host of other issues. So, what’s the difference between the carbs? Simple carbs = straight up sugar. Stuff that the body doesn’t have to break down to get energy out of; these are products with white flour, honey, milk, yoghurt, candy, chocolate, fruit, fruit juice, cakes (and cookies, crackers and biscuits! ), jam and preserves, molasses (corn syrup, maple syrup, agave extract, etc), soft drinks and a lot of store-bought cereals. Complex carbs = carbs your body has to work for. Basically, if your body has to work to get energy out of these things you’re burning energy to get them, so you’re not just flooding your system with instant fuel, you’re using up calories to get to them and releasing them a bit at a time rather than all at once. This steadier release of energy means that you’re not likely to feel hungry straight after you’ve eaten, and you’re maintaining a steadier blood-sugar level. This means you’re burning energy at a slower rate – but steadier! (i know, I’m overusing the word) – and you’re not likely to store the sugar. That brings us to INSULIN, which I will save for the next post because it’s incredibly important and I’ve rambled enough for one post – the last thing I need is for you all to go ‘she talks way too much!’. Overloading the brain with information is nearly as bad as overloading your bloodstream with sugar. Trust me. I AM NOT A NUTRITIONIST, MEDICAL EXPERT, OR EVEN REMOTELY QUALIFIED TO BE GIVING OUT ADVICE OF A DIETARY, MEDICAL, OR NUTRTIONAL KIND. All my knowledge comes from talking with my GP, researching a vast variety of resources – both Internet based and analogue! Be thorough! – and delving into the reports on studies as they pop out. What I’m trying to say here is: ALWAYS, ALWAYS, ALWAYS! SEEK REAL MEDICAL ADVICE BEFORE YOU START ANY NEW DIET/LIFESTYLE. So don’t sue me. I don’t have any money and I’ve just told you I’m an amateur. Ahem. In 2009 I was diagnosed with PCOS (Polycystic Ovarian Syndrome) which, amongst other things, makes it incredibly difficult to lose weight while putting you at risk of developing horrible diseases like diabetes and cancer. Sounds totally delightful right? Yup. So, for years, I went through the rigmaroles of trying to lose weight. I wasn’t that keen on it; why would I want to lose weight when I was comfortable with myself? Lie. I wasn’t actually comfortable with myself, that was just something I told myself – and my friends and family – when I realised just how impossible it was to do! So, like so many of you out there, I suffered in silence – struggling with the weight gain, hirutism and just a general sense of crushing low self-esteem. Then, I moved, I got married; I lost a little bit of weight, and on a random visit to a new GP in 2013 I was lead to the ‘Low Carb Diet’, and…here’s the clincher: it works! I am thrilled with my progress, the kilograms rushing off of my body like water in the shower; energy levels rising, self-esteem at an all time high – those darned skinny jeans falling loose around my thighs and slipping down! It’s great! I work, own and manage a Cafe. I do all the baking, so I’m accosted by temptation pretty much six days out of the week. I have developed iron-clad willpower to conquer my sweet-tooth. Trust me when I say that if I can do this, so can you. I hate exercising. I’m self conscious about it, can’t stand public gyms or pools, and yet I’ve managed to squeeze in a few things I can do easily at home that are helping out. For the most part, I walk – alot. I get a lot of walking in at the Cafe, but I also walk the dog – our beautiful, hyper eleven-year-old border collie Max – and try to wear my pedometer every day. People often tell you that dieting is enough. If you believe that, I’d like you to open up your mind a little bit and think about this: once you’ve lost the weight, the goal is to keep it off, one of the things that will help you with that is the raising of your metabolism while you’re losing the weight to start with. Best way to raise your metabolism? You got it! Exercise! I’m hopelessly introverted, and often sarcastic. Hopefully you’ll get used to it. I’m a creative writer, sometimes I get a little bit floral and dramatic with my writing. I apologise in advance for any florid prose, tangent anecdotes, and other possible literary devices I can’t foresee at this point. I think that’s everything. Apart from the fact that I love animals and music…but that’s not entirely relevant, this isn’t a dating site after all. This is a blog about food and lifestyle, like so many others out there. More importantly, I hope that this blog will help some of you out who are stuck in a rut and are feeling the heavy burden of despair settle on you. Maybe you’re a teenager and you’re getting teased at school – been there, done that – or you’re publically in denial but privately painfully aware. I know how you feel, I’ve been there. I’ve done it. I feel better now and I’m feeling better and more beautiful every day. I want to share that finding of self with this blog. Make no mistake, this is going to tackle a few things: I’m going to be blunt and honest – about myself and about information I find. I want this to be a two-way street; if you’re not sure where to find the information, or if you want to compare notes, post something up! This blog is going to explore a lot of things revolving around a Low Carb Lifestyle; we’ll look at PCOS and its issues, at diabetes and how that’s ripping the world apart, cancer – particularly ovarian, breast, prostate, and cervical – and how all these pieces fit together into the wonderfully complicated thing that is the human body. We’re going to be painfully honest, brutally so at stages; some of you might find some of the ideas put forward here confronting – and it’s how you choose to act on that information that really matters! But if there’s one thing I really need you all to take away from this first, inaugural post is that I am not a guru, I’m not an expert. I’m not qualified to be teaching, promoting, or advising anyone of you in this. The only thing I am doing here is sharing what I’m discovering on my own journey through this, and like me, you should always consult a medical expert – your doctor, gp, whatever – on what you’ve found and are thinking of doing. I’m not joking about this: the low carb lifestyle can adversely affect those who are going too crazy with it, and can have serious health repercussions if it’s not suited to your situation. So! FIRST RULE OF LCO: ALWAYS BE SMART. Welcome to my Low Carb Odyssey. I hope you enjoy the ride.